The beautiful and symbolic Vietnam Veterans Memorial was unveiled in a patriotic ceremony on Memorial Day, May 25, 1987. The memorial is located on a grassy knoll east of the state Insurance Building on the Capitol Campus and is near the Winged Victory Monument. The site provides visitors with a tranquil spot to reflect on the memories of those men and women that never returned from the Vietnam conflict. The original memorial, dedicated in 1982, contained the names of those veterans killed or missing in action on a scroll encased in granite. Veterans felt that the names of those who had given their lives in the conflict should be more prominently displayed, and decided to have a more fitting sculpture designed and constructed. The $178,000 needed to construct the new memorial was raised through private contributions and corporate donations. 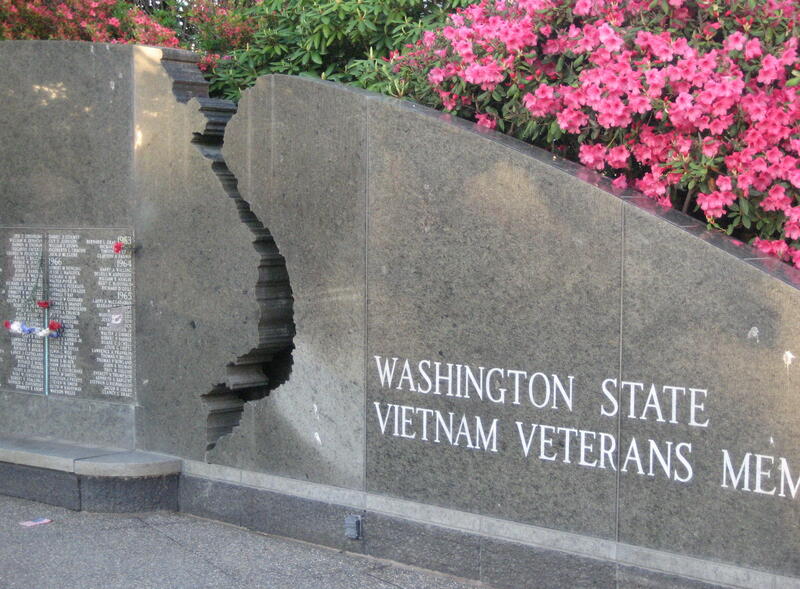 The memorial was designed by Kris Snider, architect with EDAW, Inc. of Seattle. It is a semicircular wall that stretches partially around a 45-foot base on a rolling course, seven feet tall at the apex, one foot at its lowest point. The top of the wall represents the highs and lows of the life of the nation until it is interrupted by a jagged line in the outline of Vietnam, symbolizing the break in the circle of life caused by the conflict. Sixteen green granite slabs make up the wall and are positioned so that they are accessible to all who come to reflect and remember. 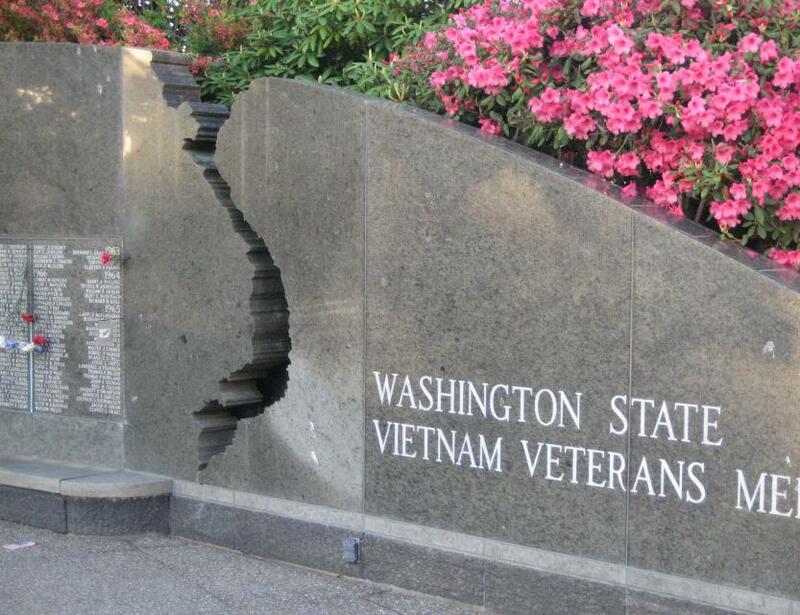 The wall is engraved with the names of the more than 1,000 men and women from Washington State who never returned home, and are listed in chronological order from 1963 to 1975, the order in which those veterans gave their lives. A small cross has been engraved next to the names of those who remain missing in action. Since its dedication, the Vietnam Veterans Memorial has been the site of many private reflections and tributes. Items such as flags, flowers, letters and personal effects have been left to honor the memory of those who did not return. All items are collected and placed in the state archives.